Peter Cook and Matt Church are great mates. They love working together and the Thought Leaders Business School is their pride and joy. Two very clever men who together through the school have built one of the most extraordinary business development programs on the planet. A combined experience of almost 50 years giving advice professionally and co-authors of the landmark textbook for Thought Leaders, The Thought Leaders Practice: Do work you love with people you like the way you want. They are published authors, exceptional speakers and two of the country’s most effective mentors for Thought Leaders. Scott is a thought leader who specialises in improving commercial advantage through touchpoints and has run a beyond black belt practice for over 10 years. As Thought Leaders Global Partner he is a co-creator with the IP as co-author of the books Thought Leaders: How to capture, package and deliver your ideas for greater commercial success and The Thought Leaders Practice: Do work you love with people you like the way you want. He is also a successful entrepreneur with 3 business practices, a property trust and is a founding Board member of the charity Hands Across the Water. Adam is obsessed by learning, having built a career within schools as a successful school principal and now partnering with schools everywhere through ongoing relationships, coaching, speaking and writing to build sustainable, relational cultures. As well as this, Adam is now taking the power of truly effective learning to the corporate and business world. Adam is showing teams everywhere that they are not in the finance, HR, tech or even local government business—they are in the education business. And it’s only through a new level of learning that they will break through to achieve truly outstanding results. Lisa is an expert in personal leadership. She is obsessed with people living the lives they want to live. Bringing new insights and ideas, Lisa has created dramatic shifts in the lives of many people. With a background in retail, marketing and branding Lisa has been empowering people her whole life. A mother of four children, Lisa is the queen of juggling – a high-energy multitasker who has the rare ability to inspire people to take action. With more than 10 years as a keynote speaker, Lisa speaks of the importance of energy, excellence and enthusiasm, the myth of work-life balance and how to live a magnificent life. She is the author of Look Gorgeous Be Happy, Juggling in High Heels, and The Lickable Third. She believes that we all want to be happy, to have energy and to live fully expressed. Georgia helps leaders, teams and organisations transform through what she calls ‘future proofing’. As a Thought Leader, she is obsessed with the power of remarkable communication and how it creates outstanding leaders and cultures. She is the author of Fixing Feedback and works with savvy organisations committed to creating outstanding cultures and leaders and teams who are remarkable communicators… so remarkable that people can’t stop talking about them and things just get done. Georgia puts passion on the podium. A remarkable communicator in her own right, Georgia is an inspiring speaker that challenges audiences to be better versions of themselves. She has over 20 years of experience working with public and private organisations in Australia and overseas. She has worked in consulting, designing and facilitating leadership, cultural change and customer-focused programs. Visual Mojo: How to capture thinking, convey information and collaborate using visuals. She works with executives, senior leaders and teams on major change and transformation projects. She helps people distil their thinking, apply ideas and innovation and boost the engagement and collaboration effectiveness of teams. Lynne assists organisations with cultural change programs including organisational agility, innovative & ingenious thinking and she works with people to help them unlock the ‘entrepreneur inside’. Lynne is an experienced board director and chair and is a global keynote speaker and an executive facilitator. As a trusted mentor, high-growth entrepreneur, and business leader with over twenty years’ international experience working on some of the world’s best brands, Janine Garner is one of Australia’s most thoughtful and called-upon commentators on leadership, belief and collaboration to gain greater commercial success, productivity and fulfillment. Now running her own phenomenally successful business, LBDGroup – a collective of businesswomen who connect, contribute and collaborate to drive commercial success - Janine is also the author of the internationally published From ME To WE from Wiley, and is a regular columnist in The Huffington Post and several leading multi-platform Australian business publications. Rohan has been working as a ‘people architect’ for over 15 years. Seeing people exceed potential & possibility and performance. Understanding and executing the key fundamentals in life in order to grow to your maximum potential and invest yourself in the life of others. That sums up Rohan. Rohan is able to engage and motivate audiences of all ages to take action for change. His wit, wisdom and insight keep audiences engaged and challenged to make the changes that attract significance, abundance and influence. Rohan is able to equip you to become the person who has the capacity to recognise and accept opportunity, to be more than you have and to begin to fulfill your purpose and destiny. Based on the values of human potential, worth, dignity, the power of a personal vision combined with the importance of personal growth Rohan skillfully, humorously and insightfully guides his audiences along a journey that increase the willingness to change and deposits the motivation and the skill to be able to make it last. Gabrielle Dolan is a global thought leader in business storytelling and real communication. She is a highly sought-after international speaker and trainer. She has worked with companies like NAB, Telstra, VISA, Amazon, EY, Accenture, Australia Post just to name drop a few. She has published 4 books including Ignite: Real Leadership, Real Talk, Real Results and Stories for Work: The Ultimate Guide to Business Storytelling that have both achieved best-seller status. Her latest book, Real Communication, is due to be published in May 2019. She is a graduate from Harvard Kennedy School in Adaptive Leadership and Women and Power and has the T-shirt and coffee mug to prove it. She also has an MBA in management and leadership, is the founder jargonfreefridays.com and is one of our Partners at Thought Leaders Global. 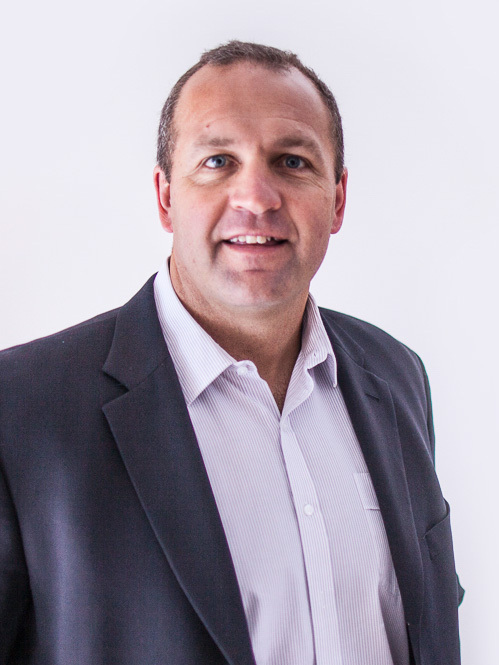 Craig is the founder and managing director of The Loyalty Zone and has 25 years experience in improving business productivity. His award-winning Leaders as Coaches training program has been run in 33 countries and translated into 11 languages. He has achieved significant success with his sales and service programs which have achieved sales increases in excess of $500 million for one client alone. Over his working life he has worked with many major companies and franchises such as Rolls Royce, Shell, McDonalds, Coateshire, Australia Post, Chemmart, Kwik Kopy, Howards Storage, MTU and STIHL. As a thought leader, Craig continues to drive massive revenue growth for his clients through his expertise in 10 out of 10 customer experiences, high quality customer research, leadership training and staff engagement programs. An avid reader of non-fiction, a self-confessed shoe fanatic and lover of all things goat, Linda is also one of New Zealand’s most respected adult educators. She has run a very successful training business for over 20 years working across the Health, Education and Local Government sectors throughout New Zealand. During this time she has gained a reputation as the ‘trainer’s trainer’ and is equally in demand as a speaker and mentor. As part of her mission to dramatically improve the development and support of aspiring leaders she has become somewhat of a zealot where ‘practical’ leadership skills are concerned. Frequently alarmed by the disjuncture between the philosophy and practice of leadership she has crafted an approach to leadership training that distils the theories underpinning leadership practice and delivers these as practical, concrete, how-to's. Linda’s first book Auditioning for Management is due out soon. Stephen Scott Johnson is an expert in organisational change with twenty years experience in global business. He is a highly sought after speaker and international mentor in co-creation, innovation culture and movements. A leading authority on the use of crowdsourcing principles to drive corporate innovation and performance, Stephen has innate flair for systems that ignite purpose and catalyse engagement. He is the strategist on some of the world's most influential social movements and enterprise communities for organisations including the United Nations and World Wildlife Fund, helping them achieve results for their most critical causes. Stephen is the author of EMERGENT - Ignite Purpose, Transform Culture and Make Change Stick (Wiley 2017), the essential guide to co-creation and innovation culture for leaders of change. He is passionate about equipping people and organisations for the emergent future. Corrinne’s mission is to empower leaders, teams and organisations with Fearless Leadership. Drawing on two decades of corporate experience, her strategies are grounded in the competing realities of the workplace and the challenges of being a leader. She also draws on experiences gained working and living in a jungle refugee camp on the edge of a war zone. Married to an ex-freedom fighter and mother of two daughters, she knows first-hand the practicalities of juggling multiple priorities and perspectives. Corrinne is passionate about community, and this influences her choice of clients and pro-bono activity. Author of Leaders Who Ask: Building Fearless Cultures by telling less and asking more. Co-author of Developing Direct Reports and two specialist reference books on shifting human behaviour. Paul is a leadership and productivity expert who is passionate about releasing people’s potential both at a personal level and leadership level. Paul has over 30+ years of experience in management and mentoring, with roles in retail sales, hospitality, manufacturing and financial services. He has been involved in the start-up of a number of businesses and in the training and development that comes with the expansion of these businesses. 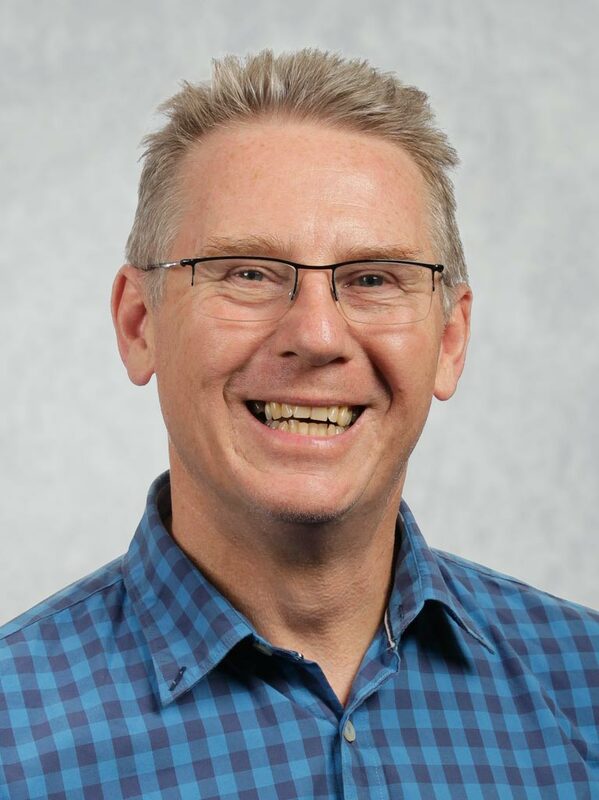 He is a practical, hands-on facilitator, trainer and coach, whose passion is helping teams and individuals to structure their work practices to achieve their outcomes. Paul is the author of GETTING eORG@NISED - Take control of your technology, stop email happening to you. Jane Anderson is an expert in Influencer Marketing and helps experts in their field to build high levels of trust for lead generation. 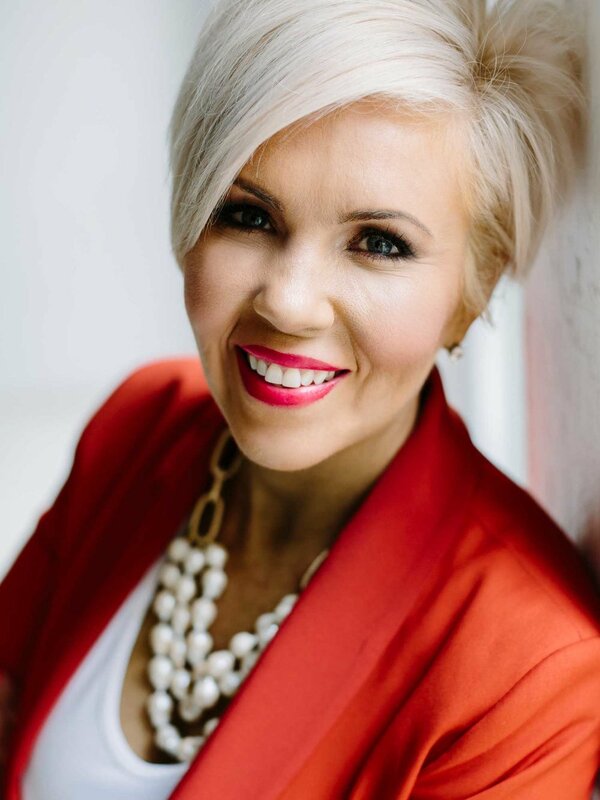 She is the author of 3 books on the subject, is a Certified Speaker and Coach and her blog has been voted in the top 25 in the world on branding. Jane has been featured in The Age, Sydney Morning Herald, Business Insider, Channel 9 and 10, BBC Online Management Today & Marie Claire. She is the host of the #1 ranked "Jane Anderson Brand You Show" Podcast in iTunes. She has been identified by LinkedIn as one of the top 12 Influencers in Australia and New Zealand. Jane has also been nominated for Telstra Business Women's awards in 2014 & 2016. Richard obsesses over leadership and stewardship of the future. His quest is to restore this fundamental tenet of leadership that too often is lost in managing the pressure for short-term advantage. Richard works with leaders of complex enterprises and with people starting their journey. He guides thinking and practice in building capabilities to get work done now and into the future. He helps leaders answer three questions: what is needed, how much is enough and why, and how to best employ networks of capabilities into a complex adaptive environment? With over 35 years experience in public and private sectors, Richard guides leaders to bring their best today and establish a viable foundation for the future. As a member of the faculty at the Thought Leaders Business School, Richard coaches and mentors students to help them realise the contribution they were born to make. Oscar Trimboli is an executive coach, speaker and author of Deep Listening – Impact beyond words, Breakthroughs – How to confront assumptions and publishes a podcast series about Deep Listening. Oscar is passionate about the impact of listening to transform organisations. Working with chairs, boards of directors, executive teams and business owners around the world, his clients have experienced the impact leaders can have when they listen beyond the words. He obsessed about multiplying the impact of organisations for their stakeholders and future generations by listening deeply to what they are saying and curiously exploring what’s unsaid. Chris Freeman is Founder of 'Design a Decade', the Life Design program that brings individuals, working couples, business owners and community leaders to 'Balanced Lifestyle and Financial Wealth'. He has a unique ability and program to grow leaders and unify their teams. better business owners and better contributors to community. His recent book Design a Decade outlines an outstanding framework to redesigning the way you look at life and business. Chris's care for people and their life's journey has him sought after locally and internationally as a Speaker, Trainer, Mentor and Coach. Few people know how to make us think differently better than Kieran Flanagan. Kieran is an in demand speaker, trainer and author who teaches individuals, entrepreneurs and companies how to develop their critical and creative thinking to gain a competitive edge. Not only was she behind the most successful product launch in Australian history, she headed up Australia’s premiere creative thinking school, won awards for her thinking and effectiveness all over the globe, consulted to the United Nations in Singapore and has had her thinking published in over 100 magazines all over the world. She regularly appears on TV and the radio, unsurprisingly, challenging the way we currently think. From humble beginnings growing up in Blacktown, to competing on the world stage across four Olympic Games, Dan Collins’ ongoing pursuit for excellence is nothing short of convincing. Since retiring from his Olympic quest for Gold in the sport of Kayaking, taking home both Silver and Bronze medals along with numerous World Championships, Dan has focused his energy on managing transformational, organisational change, driving accountability and performance in the corporate world. Dan began his thought leadership unbeknownst to him when he tested his performance concepts in the cut and thrust of elite sport within the Australian Institute of Sport, Australian Football League, National Rugby League and International Rugby. Recognising every culture is the result of the sum of the individuals involved, irrespective of title, position or hierarchy, Dan works with organisations in creating a culture of accountability and winners at all levels. Christina Guidotti is one of Australia’s leading experts on commitment, conviction and belief. She’s a role model and trusted advisor for individuals, businesses and organisations creating meaningful shifts and sustainable outcomes for life and business success. As a mum, wife and thriving business leader for over two decades, Christina has walked an extraordinarily successful path. A speaker, author and mentor maintaining a Black Belt practice, she shares her thought leadership around proven and powerful methods, teaching, supporting and energising her audience. Described as an iron fist in a velvet glove – she shows compassion while fiercely holding her clients accountable with her unique style of inspiration and conviction. Dr Richard Huysmans is driven by the challenge of building outstanding careers beyond the PhD. According to a UK study, two-thirds of final year PhD students do not have a clear career pathway in mind. Richard is tackling this problem head on. Working with PhD students across Australia to make the most of their career. He knows what it takes to transition out of academia, into entrepreneurship, having done so himself. Richard is equally adept at building research success, where he has assisted 100s of scientists, grow their collaborations, engage industry and obtain funding. His strategic approach brings the research and business sectors together to ensure careers have impact. Digby is a speaker, author, mentor and facilitator who’s passionate about helping organisations transform their leadership culture so they’re future-fit. He focused on developing the skillsets, mindsets and networks that leaders need to thrive in a turbulent world: curiosity, courage, connection and conviction. Digby’s known as a remarkable catalyst for organisational and personal change. When you work with him, you can expect your existing paradigms to be challenged and upgraded. He’s the author of The Essential Guide For Restless Go-Getters, due for publication in early 2018. Based in New Zealand and serving clients across Asia-Pacific, Digby works with senior teams, high potential talent, and other restless go-getters who are on a mission to make a difference. His aim is to help people think and act in new ways so that they nail it. Zoë Routh is a Boundless Leadership and culture expert who has worked with individuals teams internationally and in Australia since 1987. From the wild rivers of northern Ontario to the remote regions of Australia, Zoë has spent the last thirty years showing teams struggling with office politics and silos how to work better together. She is obsessed with showing big thinkers with big hearts make a big difference. Her high impact leadership learning adventures take place indoors and outdoors in spectacular settings. Zoë is the author of three books: Composure - How centered leaders make the biggest impact, Moments - Leadership when it matters most and Loyalty - Stop unwanted stuff turnover, boost engagement, and build lifelong advocates. She is also the host of the Zoë Routh Leadership Podcast with a focus on strategies for Boundless leadership, culture and personal excellence. Zoë is an outdoor adventurist and enjoys telemark skiing, has run 6 marathons, is a one-time belly-dancer, and loves hiking in the high country. She is married to a gorgeous Aussie and is mother to a few garden-wrecking chooks. Simon loves helping his clients build truly collaborative teams and workplaces - where people are able to connect and cooperate right across the organisation, regardless of rank or role. At its core, this comes down to one thing: a culture where people are encouraged to lead with a "small L" - where leadership is not about having the word 'leader' or 'manager' in your title, but about engaging and influencing others. Simon is the author of the entertaining and practical Work with Me: How to get people to buy into your ideas. Formerly a commercial lawyer and an improviser on both stage and TV, he now works extensively as a speaker, advisor and facilitator. Darren is a trainer and mentor obsessed with helping clever people share their message with confidence. He helps them to establish the belief in themselves that they need to share their message so people want to listen. Darren’s IP focuses on how your audience is receiving you and your message and how this aligns to what you want to achieve. He is the author of 6 books, producing one a year in his first four years in TLBS. Based out of Adelaide, Darren works with clients senior leaders and front line sales staff all over Australia and up into Asia. Jaquie is a renowned people expert for internal and external relations helping organisations and individuals energise their employee experiences to inspire their customers’ experiences. Jaquie is obsessed about helping people form rewarding relationships and connect with people by developing service behaviours and using practical tools to achieve the desired interactions. Jaquie lives and breathes her message in an authentic way and has intentionally spent most of her corporate career living at the intersection of employee and customer. From this experience she knows what levers to pull for leaders to adopt a service mindset and reach their full potential. In an increasingly complex world, the ability for leaders to lead through complexity is key to all our futures. With over 30 years of experience across engineering, financial services and management consulting Bryan has helped thousands of executives achieve their goals. His passion is for making the difficult and complex doable. Author of books on decision making and influencing, Bryan has featured in The Weekend Australian, News.com.au, CEO World Magazine, CMO Magazine, HR Director and a myriad of other publications, podcasts and radio interviews. He is best known for his workshop facilitation skills and his ability to engage and influence at board and executive level. He helps organisations drive risk leadership from risk management programs, reframe decisions using data and he works with corporate services to cut red tape and create blue ribbon.